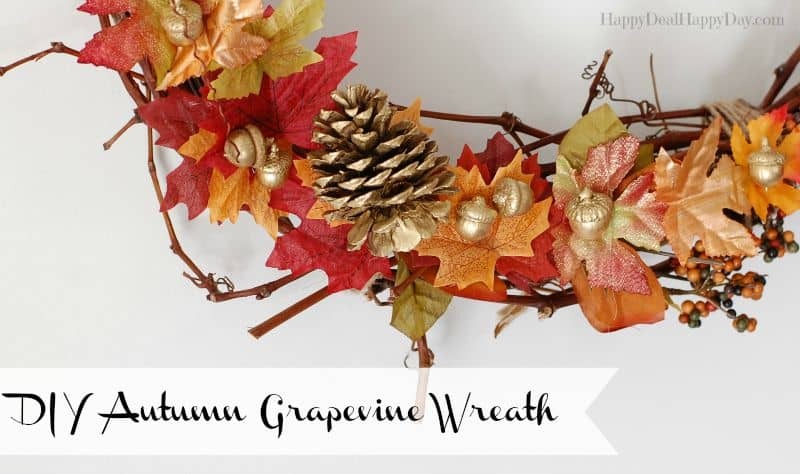 How To Make an Autumn Grapevine Wreath | Happy Deal - Happy Day! 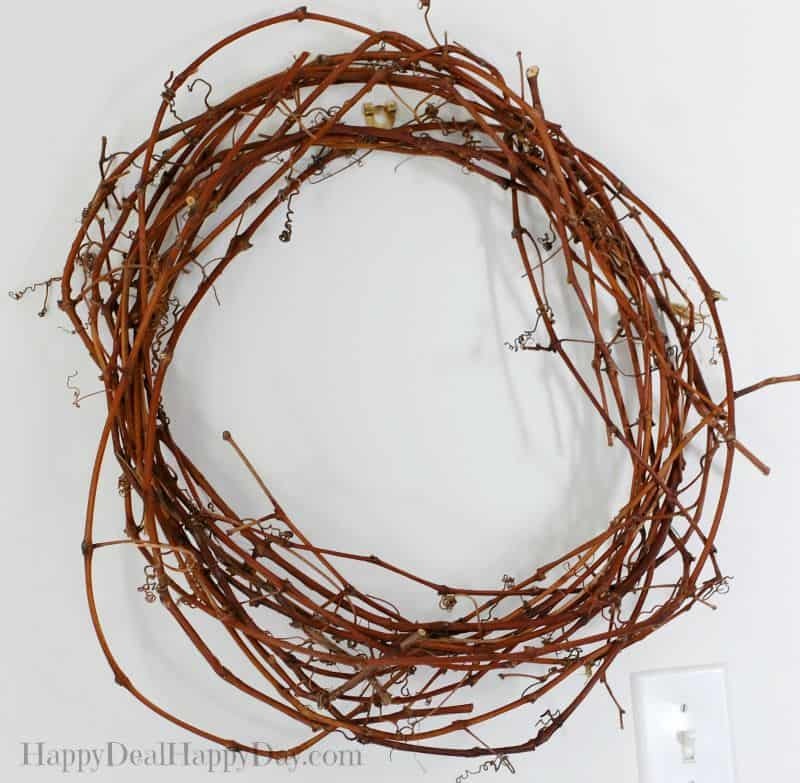 It is not a science to turn the tangled mess of grapevines into a wreath – it really just takes patience to shape and tuck the vines in until you get them in a circular pattern and it stays together. There was just a lot of experimenting and manipulating the vines into the correct shape and tucking in the ends so that it didn’t unravel. 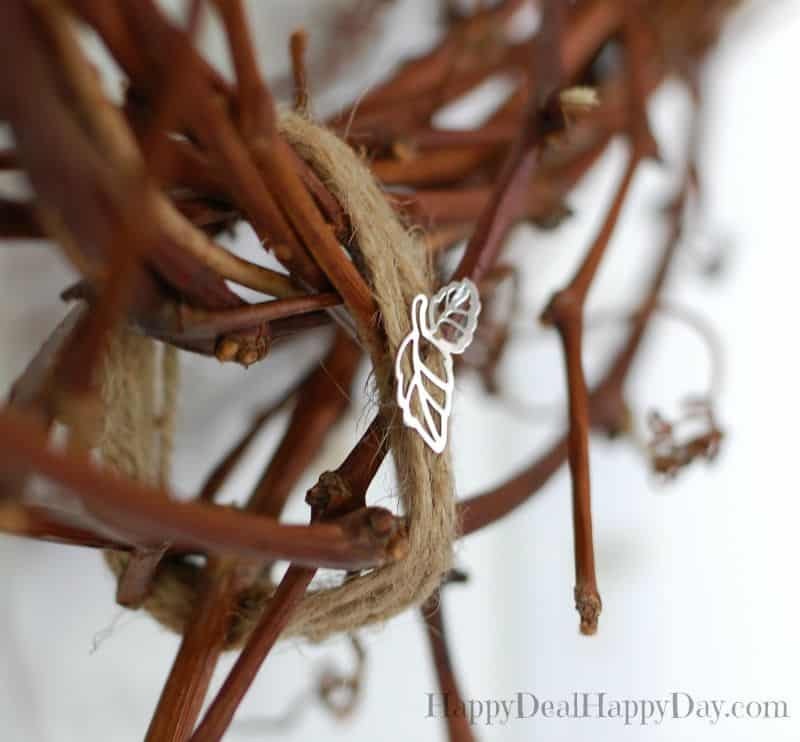 I used 4 or 5 really long vines and intertwined them into each other. 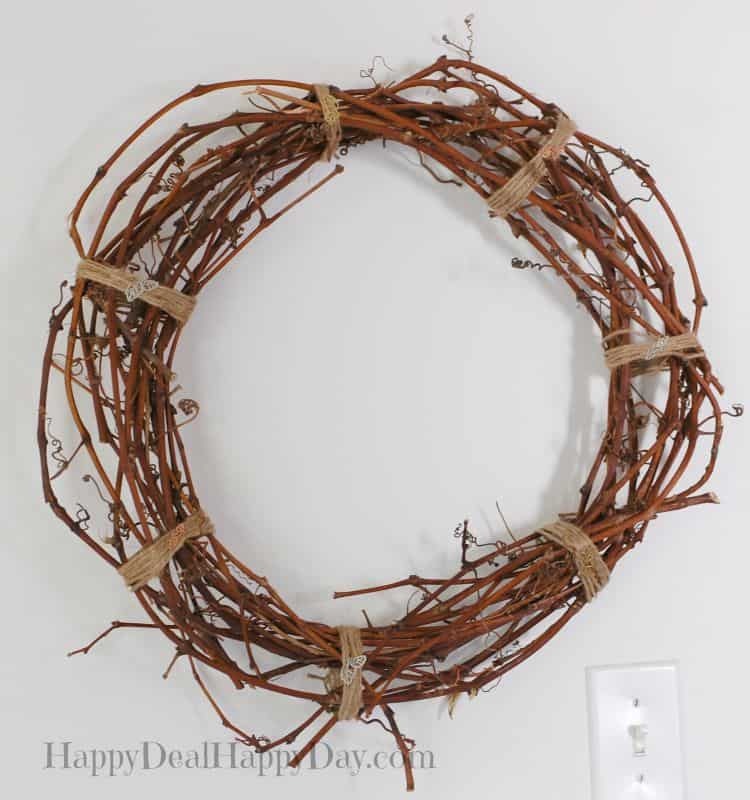 As you can see in my initial wreath, it wasn’t perfectly circular, and a few of the vines were sticking out and I was not confident it would stay together. So I pulled out my twine and decoratively tied it together in 7 different places. That gave it much better shape and it was really held together nicely with the twine. I wanted some more gold accents to match the leaf pins, so I spray painted the acorns and pinecones. 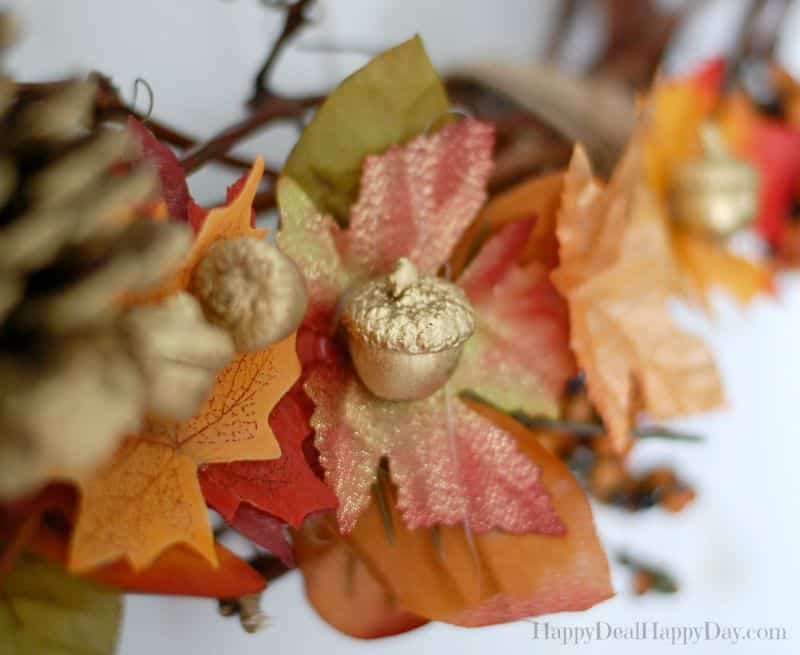 Plus some of my fake leaves from the Dollar Tree had some gold shimmer in them which matched nicely. I then gathered all of the fake leaves, berries, acorns, pinecones, etc. and arranged them on my wreath – and then got out the glue gun to hold it all together! 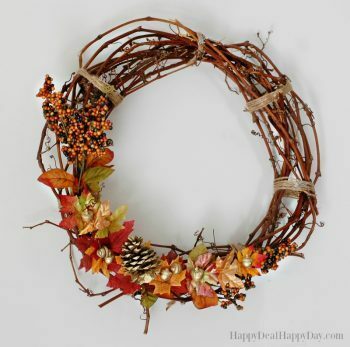 This wreath will be great to hang in your dining room during your Thanksgiving feast! If you are looking for the lowest turkey prices of the season, then go here for the local turkey price deals. 46 Apple Recipes – Breakfast, Dinner, and Beverage recipes!